Girona vs Athletic Club predictions for this Friday’s game in La Liga as two mid-table sides meet. Read on for our free betting tips and predictions. La Liga returns this Friday with a clash between Girona and Athletic Bilbao at Montilivi. Both sides are in pretty good form heading into this one. Victory for the visitors would propel them into serious European contention. 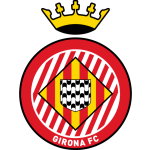 Girona meanwhile will be able to start planning for a third season in the top flight if they can claim all the points here. They’ve picked up some key wins in recent weeks over struggling teams to ensure they’ve moved clear of the relegation scrap. They’ve already recorded victories at Rayo Vallecano and Leganes this month and it should be a fairly comfortable end to the season for Eusebio’s side. However the coach may feel under some pressure now with Pablo Machin having been let go by Sevilla. Many Girona fans would love to see him return in the summer and we have seen a host of coaches return to former jobs in Spain already this year. Gaizka Garitano won’t be fretting over his future. He has done an excellent job since taking over in Bilbao in the autumn. 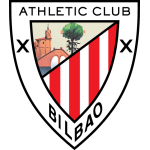 Athletic had just one win to their name at that point and were looking in considerable relegation trouble. Garitano has now been in charge for exactly the same number of games as his predecessor Eduardo Berizzo but he has managed to collected 7 league victories to the Argentine’s 1 to fire Athletic up the table. This game promises to be very even and the odds reflect that with the bookies struggling to decide on a favourite. It’s certainly hard to see Girona winning it when you consider their awful home record over the past year or so. They’ve won just 2 of their last 19 home league games which is a dreadful run for any side to have, although they have at least managed to get draws from 5 of the last 8. They’d be in a huge mess were it not for their impressive away form. Athletic have also been drawing plenty this season. 46% of their league fixtures have ended level and only Valencia have a higher draw ratio. That has come down a bit since the change in coach but they do lack a bit of cutting edge at times and when Inaki Williams isn’t firing, they are a bit light up front with few back-up options of the desired quality. Overall backing the Draw looks the way to go in the Full-Time Result market here with little reason to really fancy either side to win it. Backing Cristhian Stuani to score anytime also looks good. He has already hit 16 league goals this season, the joint 3rd best tally in La Liga and his rich vein of form continued with 3 goals in 2 matches for Uruguay over the international break. Girona have only won 2 of their last 19 home league games. Athletic have a 50% win ratio in La Liga under Gaizka Garitano. Only Valencia (16) have drawn more league games than Athletic (13) this season.